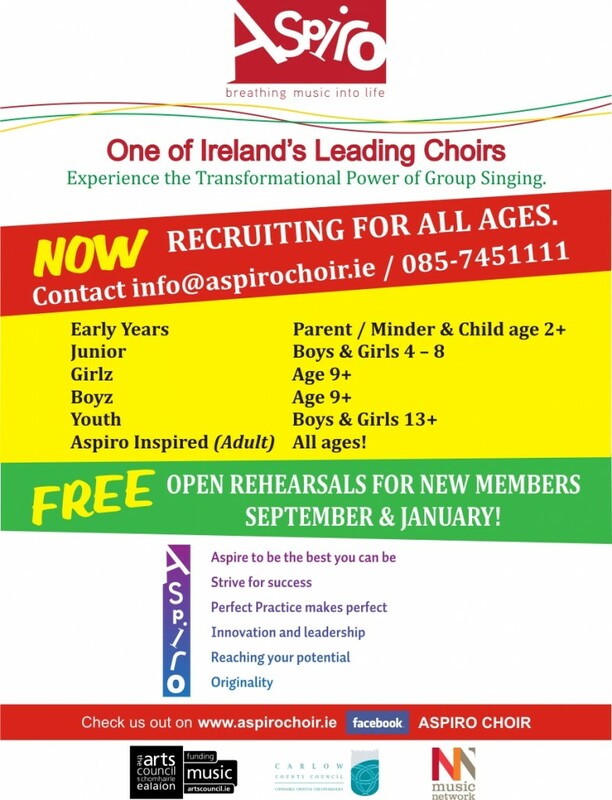 Aspiro welcomes all young people interested in singing to it’s choral and music programmes. Believing in the innate musical ability of all, no auditions are held for membership. New members are welcome twice a year, in September and January. Registration forms can be downloaded and be brought to the information evening, dates of which will be posted on this page closer to the date. For more information, please contact [email protected].